Angelica, aptly named “herb of the angels,” is a flavorful herb that is native to Syria. 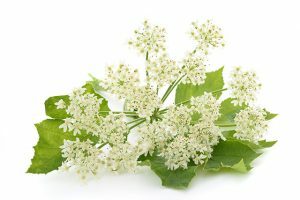 The biennial plant is widely cultivated in various parts of Asia, Europe and the U.S. Angelica comes in many names including wild parsnip, wild celery, holy ghost, and wild archangel. According to tradition, the herb’s name was derived from the Greek word “arkhangelos,” which was the name of Angel Gabriel who was believed to have introduced the plant’s medicinal properties. Angelica boasts a number of health benefits, particularly promoting a healthy digestive system. According to an online entry on the Health Benefits Times website, angelica contains antimicrobial properties that cleanse the mouth and prevent harmful bacteria from causing painful oral lesions. The same properties are known to ease sore throat. On the other hand, consuming angelica tea is found to relieve excess gas and tension-related digestive issues. Angelica works by relaxing the intestinal muscles, thus alleviating discomfort. Aside from this, the bitter constituents of angelica are known to have hepatoprotective properties that help promote liver health and address hepatitis and liver cirrhosis. The flavorful herb is also known to contain compounds that help lower high blood pressure levels. Likewise, angelica is found to be beneficial to the muscular system. The herb is touted to ease muscle pain and swelling. Besides this, angelica is found to maintain the body’s hormonal balance. As a result, this reduces the odds of developing osteoporosis in old age. In addition, the superfood is valued for its beneficial effects on both the immune and respiratory systems. Angelica is a highly effective detoxifying agent that promotes sweating, which in turn helps eliminate toxins from the body. The herb also contains antifungal properties that ward off various infections and skin diseases. On the other hand, the superfood is touted to have expectorant properties that rid the body of excess mucus and phlegm. Moreover, angelica is found to treat overactive bladder and promote the urinary system’s overall health. Likewise, the herb is known to support the nervous system by staving off anxiety and inducing a restful sleep. Furthermore, angelica is found to ease symptoms of premenstrual syndrome. The superfood is also found to maintain the balance of female hormones. Additionally, the herb promotes healthy skin and hair. Angelica benefits the digestive, cardiovascular, and skeletal systems. Likewise, the herb supports the muscular, immune, and urinary systems. In addition, the herb promotes a healthy respiratory, nervous, and female reproductive systems. Angelica is perhaps best known as the crystallized or candied strips used in cake decorations. According to an article posted on BBC.co.uk, candied angelica is made by boiling the herb’s stems in sugar syrup. The article also notes that the stems can be cooked with rhubarb or apples as an addition to pies and crumbles. Still according to the article, the stems can be processed into jams and preserves, while the leaves are an excellent addition to salads and can be used in fish-based dishes. Likewise, the article features some interesting dessert recipes that use angelica. Angelica keeps digestive issues, cardiovascular conditions, and osteoporosis in check. Angelica staves off muscle pain, urinary and respiratory infections, and PMS symptoms. Angelica is beneficial to the digestive, cardiovascular, muscular and skeletal systems. Angelica supports the immune, urinary, and respiratory systems. Angelica helps improve the nervous and female reproductive systems.